An estimated 85,000 children under age five may have died of hunger and disease since the outbreak of war in Yemen three years ago, an international aid group says. An estimated 85,000 children under age five may have died of hunger and disease since the outbreak of war in Yemen three years ago, an international aid group said Wednesday. Save the Children based its figures on mortality rates for untreated cases of severe malnutrition in young children. 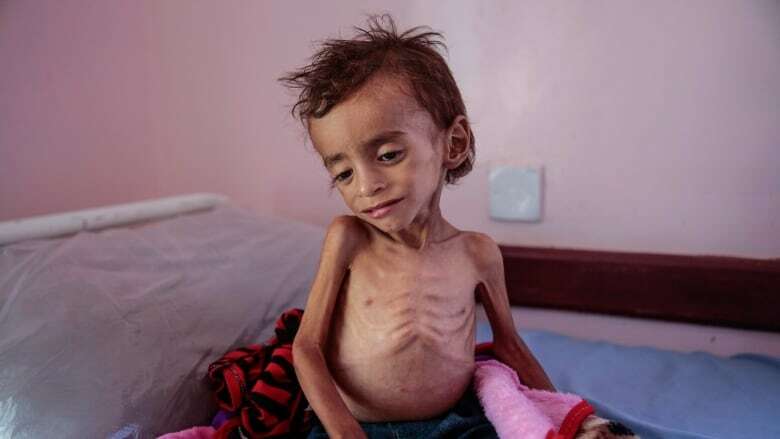 The United Nations says more than 1.3 million children have suffered from severe malnutrition since a Saudi-led coalition went to war with Yemen's Houthi rebels in March 2015. The group said its "conservative estimate" was that 84,701 children may have died, based on historical studies that find that 20 to 30 per cent of untreated cases lead to death. It says it calculated the figure based on the number of cases reported in areas where aid groups were unable to intervene. "For every child killed by bombs and bullets, dozens are starving to death — and it's entirely preventable," said Tamer Kirolos, Save the Children's Yemen director. "Children who die in this way suffer immensely as their vital organ functions slow down and eventually stop." The war has given rise to what the UN deems the world's worst humanitarian crisis. Three-quarters of Yemen's people require life-saving assistance, and more than eight million are at risk of starvation. Tens of thousands of people are believed to have been killed in the fighting. 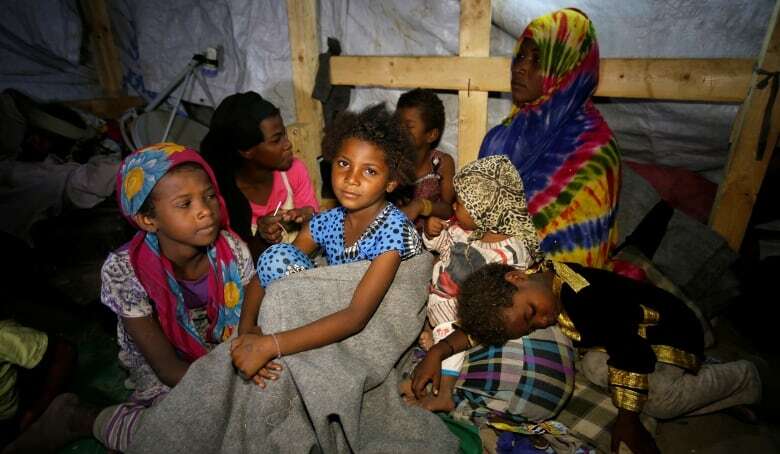 The charity also cited recent fighting in and around the port city of Hodeidah, a lifeline through which Yemen imports some 70 per cent of its food and humanitarian aid. It said commercial imports through the rebel-held port have fallen by more than 55,000 metric tons a month — which would meet the needs of 4.4 million people. Save the Children said it had been forced to bring supplies for northern Yemen through the southern port of Aden, slowing aid deliveries. The fallout from the killing of Saudi journalist Jamal Khashoggi at the kingdom's Istanbul consulate has drawn renewed attention to the war and devastation in Yemen. The U.S. has scaled back its support for the coalition and called for a cease-fire by the end of this month. UN envoy Martin Griffiths says both sides have agreed to attend peace talks "soon." But the fighting is still raging in Hodeidah and other areas, and previous peace efforts have failed to produce any agreement to stop the violence.